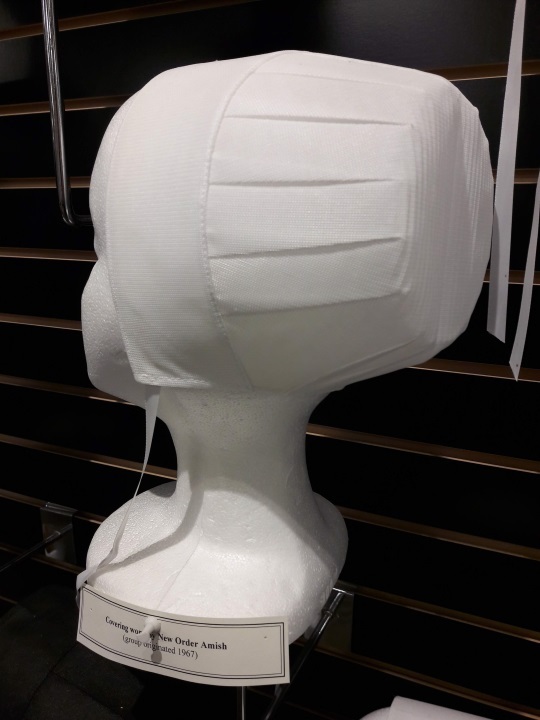 Ever noticed how Amish women in different places wear different head coverings? 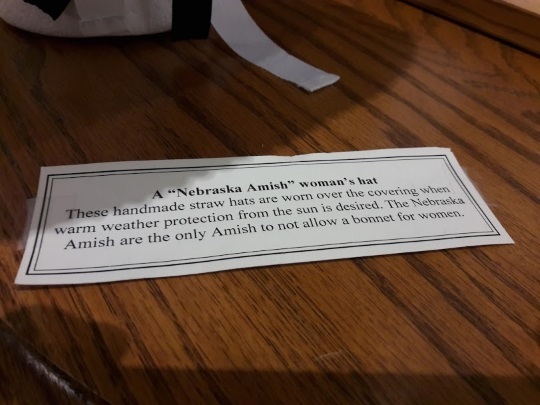 A good example is the heart-shaped Lancaster women’s covering, versus the straight-sided, pleated coverings worn by Amish women in the Midwest. 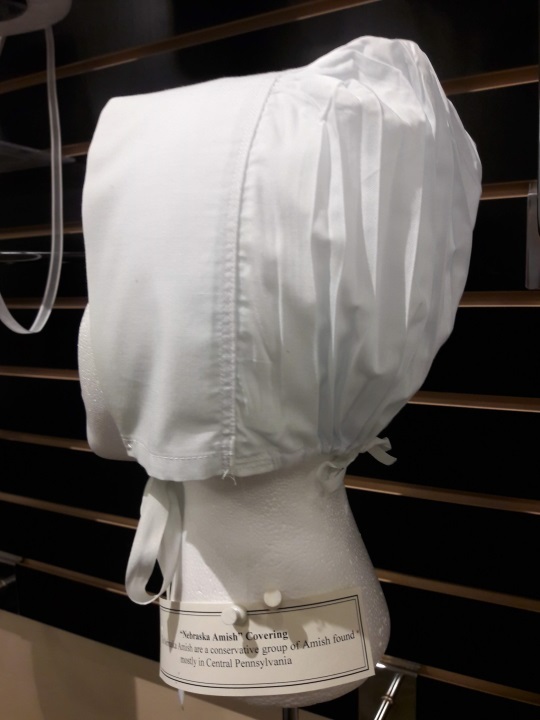 Like other items of Amish clothing, there are quite a few different styles of women’s coverings, and some with rather subtle differences. I wanted to show you differences between these coverings by taking a closer look at some of these examples, drawn from different communities and affiliations. A few quick things worth noting about the head covering (aka prayer covering or kapp). 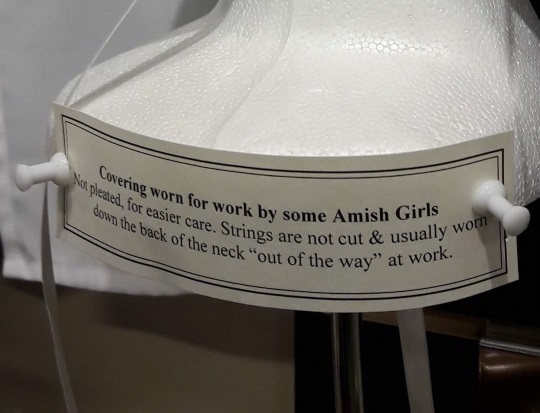 First, Amish wear Plain clothing for several reasons, including modesty, practicality, and identity (see this article for more). 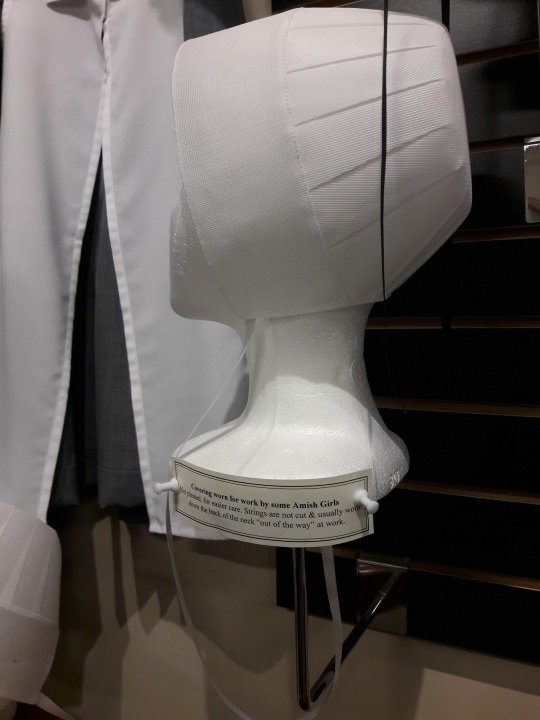 Amish can also look to Scripture for a basis to this particular practice (see for example 1 Corinthians 11:2-16, including “But every woman that prayeth or prophesieth with her head uncovered dishonoureth her head: for that is even all one as if she were shaven”). Second, the prayer covering is different from the bonnet, which is the larger covering which goes over the kapp and is often worn when traveling or going to formal occasions. 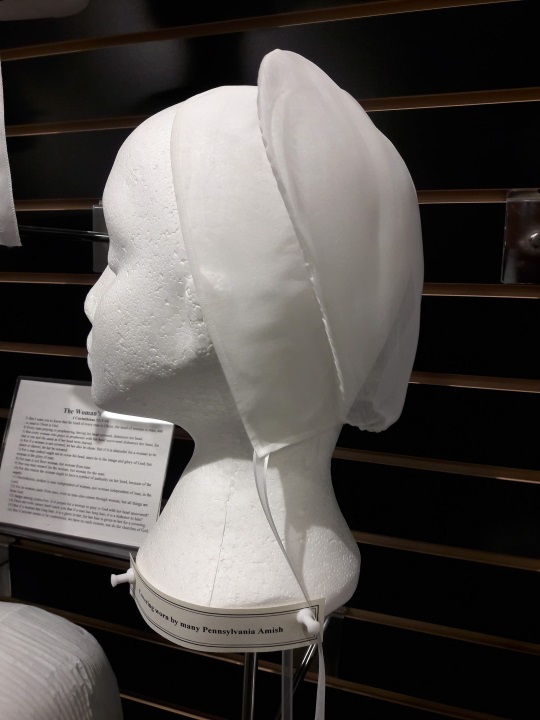 Prayer coverings are often mistakenly called bonnets. 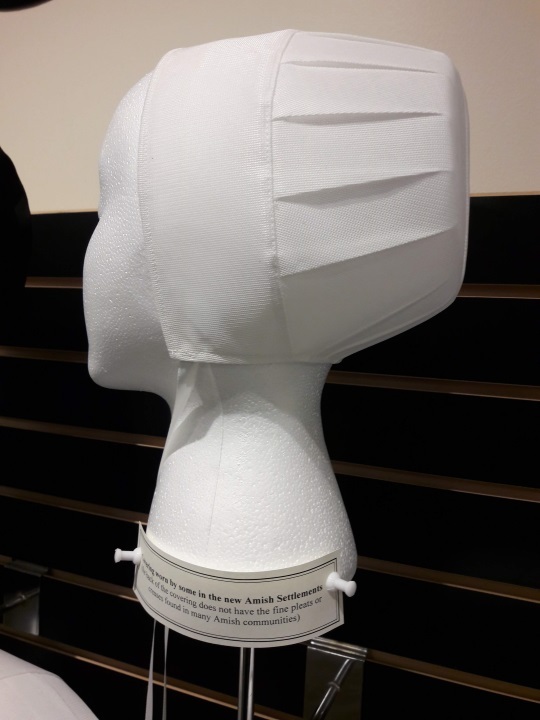 Finally, women and girls may wear different coverings, and this can also vary on the situation (ie coverings worn at church or while working). You’ll see a few examples of those below as well. First of all, here’s the kapp of the largest Amish affiliation in Holmes County, known simply as Old Order. Holmes County has around a dozen separate Amish affiliations, from the very plain Swartzentruber to New Order groups who use tractors in the field and permit public electricity. But the “mainstream” Old Order group in Holmes County outnumbers all other groups put together by close to a 2-to-1 margin. So this is the covering you’re most apt to see in the community. In comparison here’s the covering worn by their neighbors the New Order Amish. You can see that this one is more elongated and is less angular. In this case the material is also different, but I don’t know if that is a general trait or if this one is simply made from a different type of cloth. 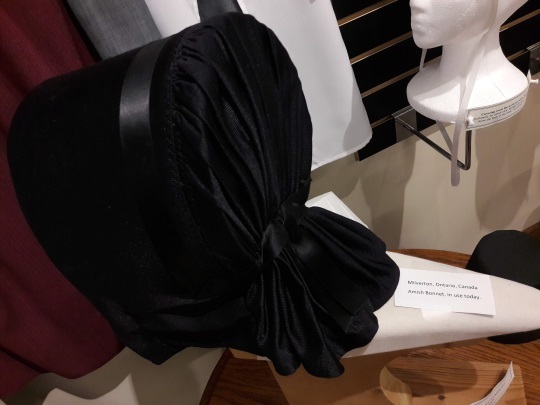 I hope you enjoyed this look at various head coverings from across multiple Amish communities. 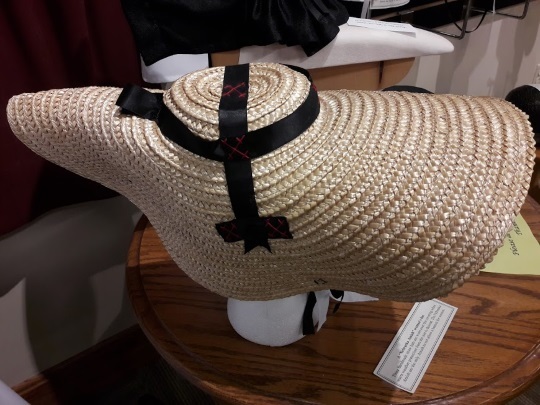 And if you’re visiting Holmes County, a stop by the Amish & Mennonite Heritage Center is a great way to spend several hours. These coverings and the rest of their exhibits are well worth examining up close. My friend Rhoda used to wear a scarf in her store. One time I went in and had to smile: she had chosen the prettiest bluescarf to match her apron: it was almost turquoise, and her dress was much darker. If you’ve seen pictures of the Maria von Trapp, she often wore a scarf like that, to match the apron. Yes, she had and wore the white Kapp too at times, only when working she looked like an Austrian Lady. I miss her and Henry. Their store in Somerset County was wonderful. She even managed to track down the German language edition of “Der Märtyrer Spiegel” for me. When Henry passed, Rhoda closed the store and moved to where her daughters lived. We sadly lost touch. My memories, however, no one can steal! Sounds like great friends and a great store, Jim. Thanks for sharing with us. 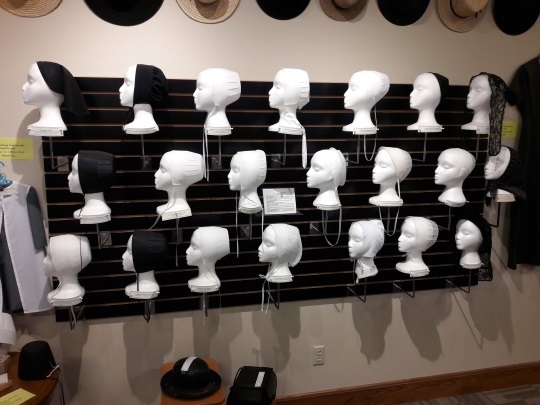 For all of these terrific photographs of the varying head coverings among the Amish and Mennonite communities. I noticed that a couple of them were similar to the upstate New York settlements. 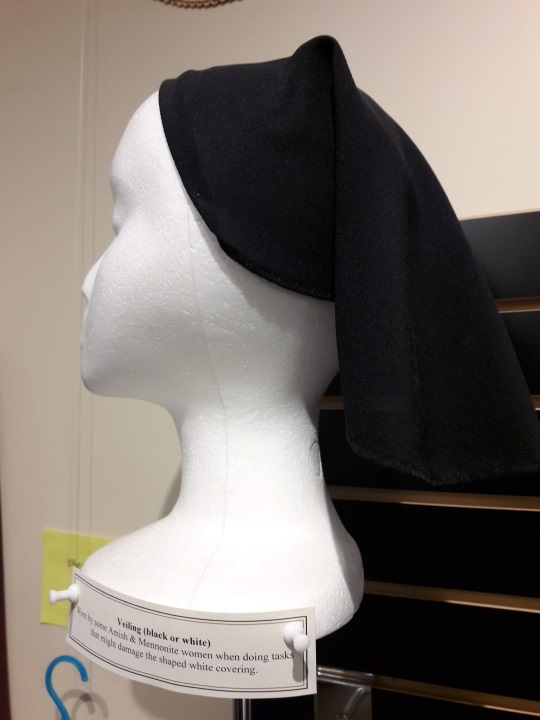 I sometimes see young women who are *not* Amish or Mennonite wearing the veil, although they wear it directly over their hair and not over a kapp. Thanks for the descriptions of the distinctions. That’s interesting Heidi, I know some Catholic women cover their heads with a veil at least while in church. Glad you liked the post. Which communities in New York did you have in mind? Thanks for sharing. Every winter, while in Florida, we eat breakfast at the Der Dutchman in Sarasota, FL. and see a variety of head coverings. I have always wondered where they reside and if they are Amish or Mennonites. The coverings are often quite different from the ones we see in Lancaster County, PA where we reside. It is neat when you see Amish from geographically diverse communities in one place. I bet you see a good mix in Sarasota. This was fascinating, thanks for the article. I have visited Holmes County at least once a year for the past 15 or so years and I have never noticed the pleats on any of the women’s kapps there – guess I haven’t looked very closely. 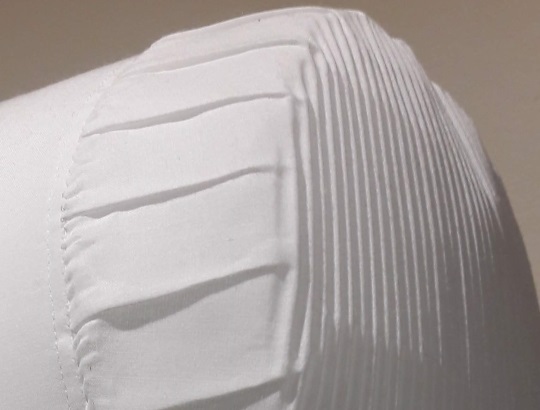 Also interesting about the ‘swoosh’ pleats on the Schwartzentruber kapps. I will definitely try to be more discerning the next time I am there. I so admire the dedication to prayer the Amish women show by wearing these coverings. They probably look more swooshy because of the angle, but that one has the most fine creases of any of these. The Swartzentruber and Nebraska kapps seem to have a less defined shape than the others. 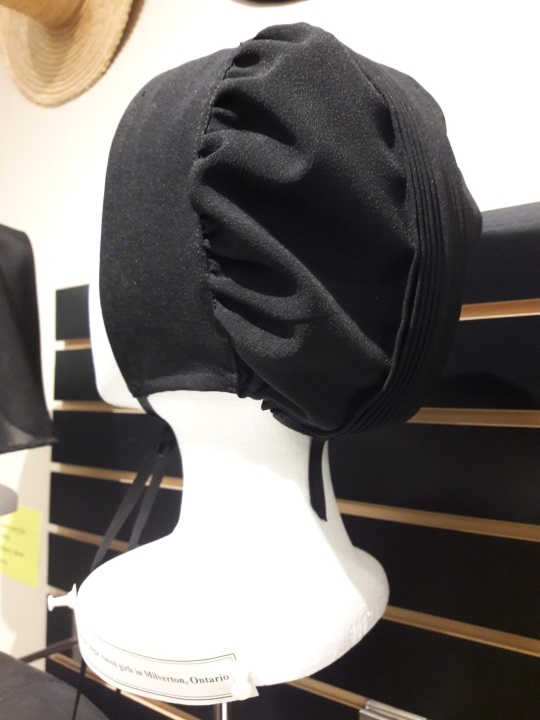 Your mention that these kapps aren’t bonnets reminds me of what I learned years ago about “bonnet novels.” These are rather formulaic romance novels involving Amish girls/women and, of course, the boys/men who take a liking to them. Very popular among Amish and, in the trade, called bonnet novels. You’re right Boyce. This has been a booming segment of the book industry. I know it was on the upswing when Valerie Weaver-Zercher wrote her book about the phenomenon several years back. She had some stats in the book about the rising number of bonnet novels published each year. I don’t know if that rise has continued or if it has flattened out or declined, but anecdotally they still seem to keep coming out at a good pace. Very interesting, and such a variety. All the Amish I know in Lancaster, PA wear the heart-shaped covering, & all the Mennonites wear the round style. I have always believed that, but anyone know for sure? Bob the heart-shape covering are what the Lancaster Amish and their daughter settlements wear. 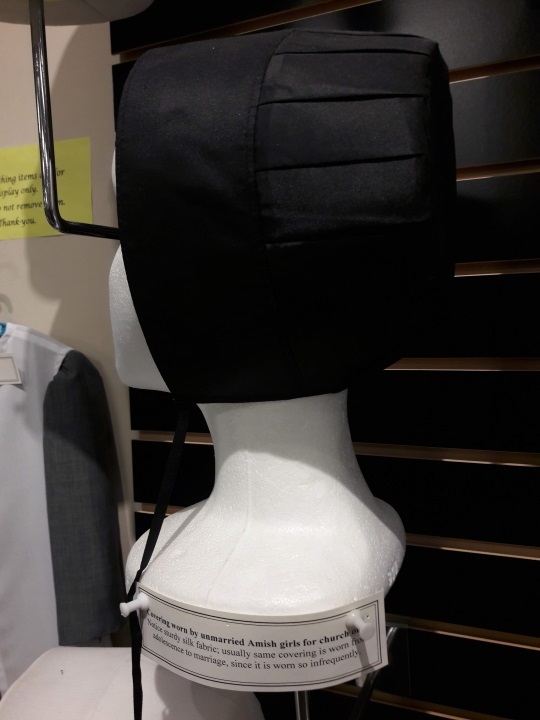 There are a variety of Mennonites and I am not so up to speed on their different coverings but they don’t wear the heart-shaped covering, that is specific to the Amish of that area. Glad you enjoyed it, this was a fun post to put together. I never really thought too much about the different head coverings before. Actually, I really didn’t know about the Amish much at all until I found your website. I’ve seen a group of women at an airport that I believe may have been Mennonites, but I am not sure. 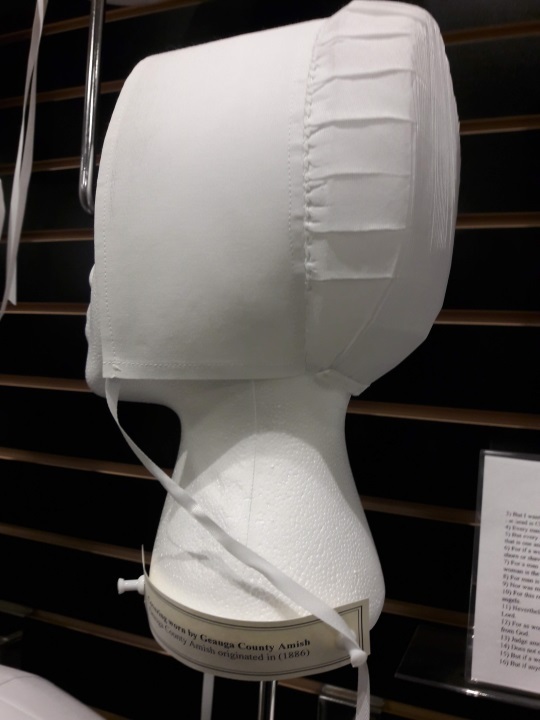 I didn’t want to look like I was staring, however I did see them several times when looking for my sister and I noticed that their coverings were quite small, thin, and only covered the very backs of their heads. They also had dresses and aprons that were the same style and shape as we typically see the Amish wearing, but the patterns weren’t as plain. 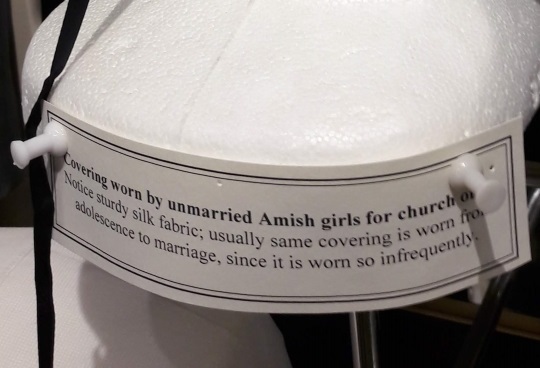 That sounds like they were probably Mennonites, both by the description of the coverings and the dresses. Amish typically wear dresses which are solid without patterns, or with very subtle patterns in the fabric. 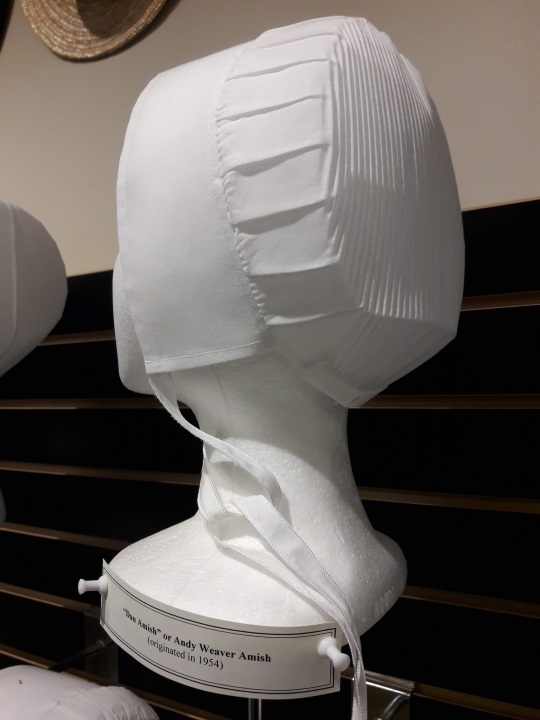 And the head coverings Amish women wear will usually cover a good portion of the head, as you can see in these examples, in some cases covering the ears at least partially. Glad you enjoyed the photos and glad you found the site! Interesting article and photographs, thank you for posting. 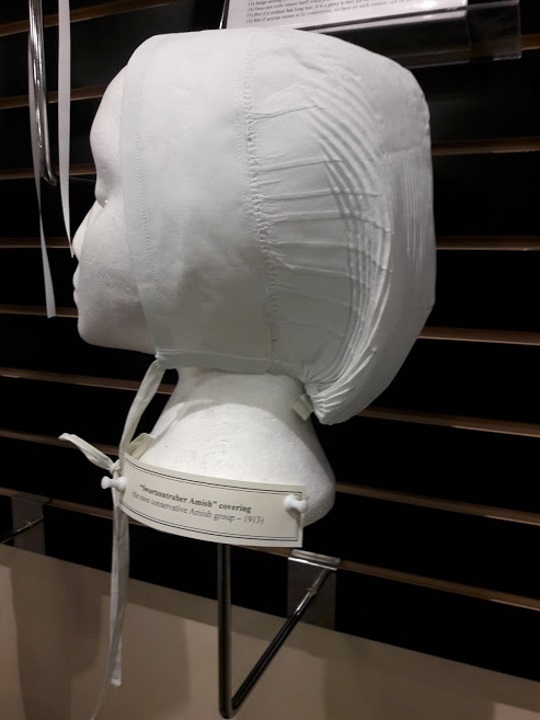 How are these head coverings cared for? How many days are they worn before being laundered? I imagine that would be dependent on activity, but I wonder what the norm is? Are they ironed and/or starched? It would seem that maintaining the pleats would be tedious. on the top far right row, what community does that belong to? 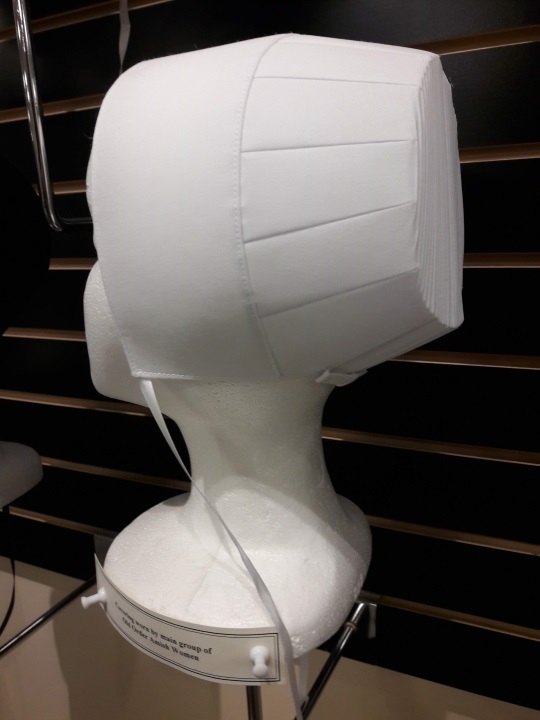 It reminds me of old roman catholic head coverings that some women wear to church. This was wonderful. As a married Jewish woman, I also cover my head. I use scarves, or “Tichels” to cover, and depending on the sect, some women cover with “ shaytels” ( wigs,) or a cap, or like me, the Tichel. I’m always very interested in what other religious or cultural groups use to cover, and the reasons. Thank you for this educational piece! Your response prompts me to ask what is known about interactions between Amish and Jewish people. I often think there may be similarities between the Amish and ultra-orthodox, in dress and attitudes toward the outside world. Both tend to be insular. Both are quite conservative in sexual mores. Family size. Maybe more.